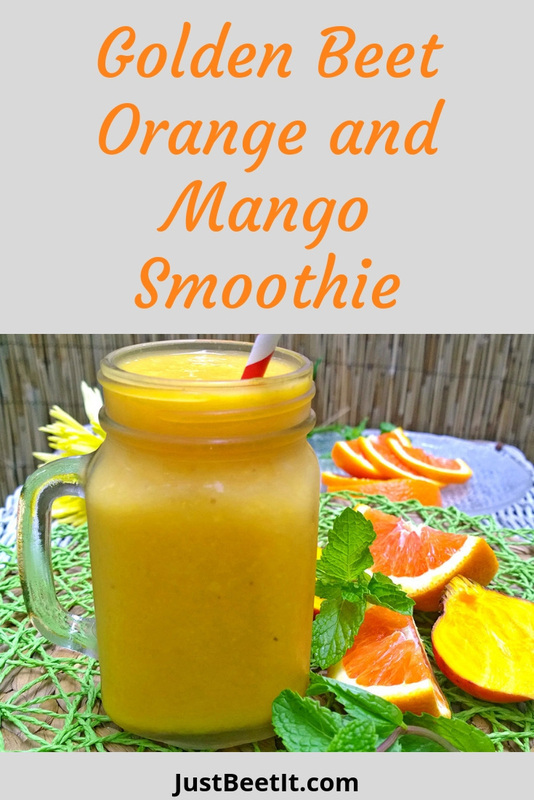 Greet the morning with a vibrant Golden Beet, Orange, and Mango Smoothie. Its yellow hue, energetic nutrients, and delightful flavor inspire a beautiful way to start the day. This Golden Beet, Orange, and Mango Smoothie provides natural energy for your workout, yoga class, or keeping-up-with-children routine. As confessed in previous posts, I am a smoothie junkie. Greens (kale, spinach, beet greens, etc.) are usually the base of most of my smoothies as the alkaline benefits rock my world, but I also create smoothies for fun, for taste, and for purpose. Although high in natural sugars*, this fresh and fruity smoothie is an incredible source for superhero nutrients. Plus - the color is stunning! The ingredient combo offers antioxidants, vitamins (such as Vitamin C), minerals (such as potassium), and fiber. Enjoy! Curious about Golden Beets? Explore "Don't Miss a Beet" to discover the wonderful world of various beet varieties and types. *This smoothie is high in natural sugars, and for me, it works to drink it pre-workout or followed up by or with a balanced meal. Sufficient protein helps me balance blood sugar. 1. Gently wash beets. Remove golden beet skins (if preferred). Beet skins are edible, but the smoothie texture may be chunky unless you use a high-powered blender like a Vita-Mix. 2. Peel orange to use orange segments. 3. In blender, add coconut water base. Add golden beets, banana, orange segments, and mango. Blend until smooth. Note: Using frozen mango creates a chilled smoothie. If using fresh fruit, add 1/2 cup ice for a chilled texture and taste.